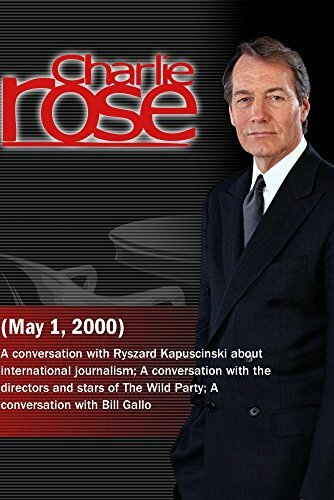 A conversation with Polish journalist Ryszard Kapuscinski, considered to be one of the world's best living foreign correspondents, about a life in journalism and his role as an eye-witness to history--with a particular emphasis on dictators and the Third World. Later, a discussion of The Wild Party, a new musical based on poet Joseph Moncure March's 1928 tribute to the jazz age of Manhattan, which tells the down-and-dirty story of one wild night thrown by two Vaudeville performers, with director and co-writer George C. Wolfe and actresses Toni Collette and Eartha Kitt. Finally, New York Daily News sports cartoonist Bill Gallo on his first book, Drawing a Crowd, which collects some of his most famous images, of figures like George Steinbrenner, Muhammad Ali, Joe DiMaggio and many more.